It is quite difficult for Me today fans. Firstly it’s quite chillies. I have to wear My RF thermalites to keep warm. When one of your homes is in Dubai these kinds of temperatures is quite putting off. You will take my words on this and do the trusting. The other thing which has two sides of the same coins is that on one hand I am playing a fan in today’s match. Apparently he keeps Goughing. I hope it isn’t Mono as I don’t want to do the catches. Did he used to be a ball servant here 2 years ago? They all look the same to me actually. Before you ask, no, I will not be gifting this one a set as it’s too cold and Chef promised Me that if I’m quick he will make me a nice hot chocolates with GOAT milk. Motivations! On the other side of the coins is that the other players are playing proper tennis players. So yes, another easy rides for me. All the commentators (especially Mats WingLander who loves me so much #awkard) will say it is a Masterclasses, but on My other hand it will be a bit of a shock when I inevitably meet a more difficult one. I think I prefer this routes. 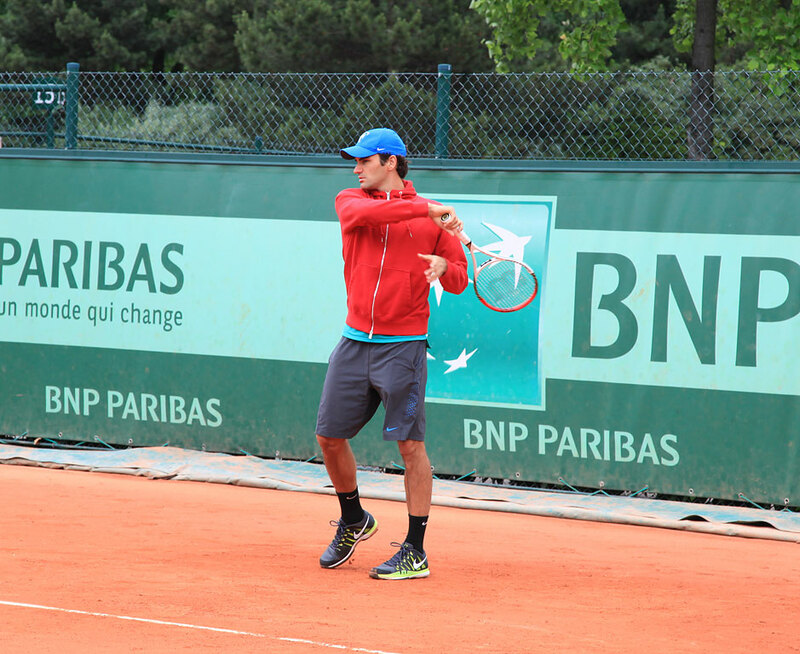 The best news of the day was that I allowed Stanford to warm Me up today on one of the practise courts. It was fun and I think he has gotten over the little problem we had. Photo attached for your pleasure. We made some giggles. Anyway, I better get my things ready for the match shortly after the exhibition match currently playing. June 3, 2012 in RolandGarros.